UBC campus has been on a SkyTrain hype recently. On April 19, the UBC Board of Governors officially endorsed advocating for accelerating rapid transit extension to UBC. This support is exciting and vital to getting rail rapid transit a step closer to the UBC campus. Nevertheless, TransLink and the Mayor’s Council of Metro Vancouver have been focusing on their extensive Ten-Year Plan, with both the federal and provincial governments committing roughly $4.4 billion towards the plan over the next decade. At this point, TransLink has their hands full and upper levels of government have already allocated substantial amounts of money into the existing Vancouver Transit Project. Fast-tracking the UBC extension from Arbutus, which is not in the Ten-Year Plan, may be harder than it seems. A 2012 report suggests that the extension may cost $1.1 billion to build. In the meantime, we need another fast and convenient way to get people in and out of campus as a relief to the popular 99 B-Line. Coincidentally, TransLink is currently running a consultation for a project that is part of the Ten-Year Vision, which has already been funded and can go ‘live’ as early as next September. You may know what I’m talking about if you have seen posters at 41 or 43 bus stops or relevant advertisements on Facebook — it’s the 41st Avenue B-Line, one of four new B-Lines that will be introduced next fall. Wait: we already have the 43 express, so how is the new B-Line different? One major difference is that a B-Line is supposed to run all day long, including Saturday’s and Sunday’s. The new 41st B-Line is proposed to come every three to six minutes during weekday peak hours, every eight minutes during weekday off-peak hours and weekends during the daytime, and every 15 minutes at night. That’s more than doubling the capacity between 41st Avenue and UBC on weekends and at nights! The 41 will be shortened to run from Joyce Station to 41st Avenue at Crown Street due to lower demand; the 49 will be rerouted to stop at TRUIMF and Wesbrook Village and receive extra service to compensate for the loss of 41 service. You can find the details of this proposal here. That being said, if you have ever taken any buses on 41st Avenue during peak hours — the 41, 43 or 480 — you know that service is not the main issue, congestion is. Traffic through the Dunbar-Southlands and Kerrisdale areas — 41st Avenue from Dunbar to West Boulevard — is often close to a stand-still during peak hours. Buses and cars crawl through the area at a speed easily beatable by bike, and occasionally, on foot. It may be slightly better along the rest of 41st Avenue and on Wesbrook Mall on campus, but buses are still affected by peak-hour traffic and constant stopping at side-street intersections. According to Translink’s Transit Service Performance Review, speed on the 43 dropped from 26.6 kilometres per hour to 24.6 kilometres per hour between 2013 and 2016. That is a 10 minute difference for the full route length of 12.2 kilometres. Without some kind of measure to allow buses to run faster, the B-Line will keep on crawling like a snail rather than flying like a bee as it is intended to do. Translink has proposed several possible measures to speed up the B-Lines: changing traffic signals and bus stops, restricting turns and adding by-pass lanes near intersections and adding bus dedicated lanes, to name a few. Translink is considering implementing some of these measures along 41st Avenue and Wesbrook Mall. However, the more beneficial a transit priority measure is, the more controversial it tends to become and the harder it is to be implemented. This will do good to the 36,000 people who ride the 41, 43 or 480 every weekday, potentially benefiting drivers from fewer people driving, and make it more pleasant to walk and shop in communities along the new B-Line. Translink’s B-Line program survey is open until May 11. If your route is going to change and you have an opinion, or if you think buses should run more frequently on any of the aforementioned bus routes, participate in the survey while you have the chance. Also, if you have any thoughts on transit priority along the new B-Line — which will also benefit riders on 41, 480 and other routes as well — speak up and let your voice be heard. Shiny trains are naturally attention-seeking, but buses are and will continue to be an important part of UBC’s transportation network. Advocacy for some form of rail rapid transit extension needs to continue, but we should not lose sight on more immediate improvements that can be completed. 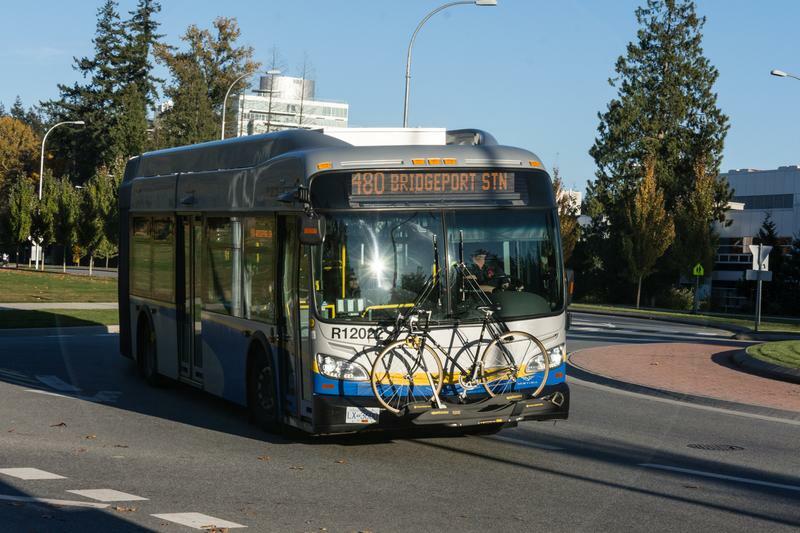 The new B-Line will connect UBC with many students and staff already living in South Vancouver and Burnaby, as well as various rapidly-growing communities like Oakridge, Joyce-Collingwood and Wesbrook Village. If implemented well, it will provide greater instantaneous relief for the busy 99 B-Line, easier access to a plethora of planned residential and rental units, as well as the opportunity to convert it into another rapid transit line in the future. Using a recent quote from our very own Santa Ono , "we must do it right from day [one]." Kevin Wong is a fourth-year civil engineering student.